There’s an old quote attributed to David Mamet: “If you’re in the con game and you don’t know who the mark is…you’re the mark.” There’s many variants of that quote, but the notion is always the same: people are always out to scheme other people, and they always prey on the unsuspecting. If you don’t realize that you’re being played, then you’re the perfect victim. And so it is with social media. Facebook, Twitter, Instagram, and others–do you really think that companies are giving you free information-sharing out of the goodness of their hearts? It’s been known for awhile that social media giants are tracking us and our information. They’re studying our habits and behaviors to figure out what we like. This is all about money: your social media is a tool for businesses to figure out what to advertise to you. They’re building data on you to figure out if you’re worth marketing to. We all knew this going into it, but we didn’t care. Because social media used to be a pretty good way to connect with people. Remember back when we all first got into social media in the last decade? It was a great way to catch up with people. Suddenly, the doors were open to communicate with high school and college classmates we hadn’t talked to in years. If you’re approaching 40 and geographically separated from your hometown, you probably wondered whatever happened to this guy and that girl and didn’t feel like waiting for the next class reunion. Facebook seemed to fix all that. Suddenly, you could see who was getting married, having kids, getting divorced, going on vacation. People you hadn’t seen in years were suddenly right there at your fingertips, and it was great. Something’s changed. Have you noticed? Seriously, look at your Facebook or your Twitter and see how many vacation or cat photos you still have. If you’re like me, your Facebook is full of…advertisements. Some are overt, some are a little more covert. There’s a lot of ads for this movie or that TV show or concert or product or whatever. Sometimes it’s our own fault: we were excited for Star Wars and “liked” their page and now we’ve got lots of Star Wars crap in our feeds. Oftentimes it’s a little more subtle. Your friend likes Game of Thrones even though you don’t, so you get a notification that your ex-coworker in your friends list likes the show and Facebook makes a point of reminding you of that fact. Or maybe it’s outright manipulation: your friend belongs to one or several Walking Dead fan pages and they’re constantly sharing a funny meme or an article about the show as if to show you and everyone else that the show is great. Who needs to pay for advertising? We’re doing the companies’ work for them. The goal is to get you to watch their show or movie, buy their products, show how cool you are for enjoying it, and funneling money back into their products. Odds are, you never see a dime of that money. More than likely, you’re giving money back to them even as you’re encouraging other people to do the same. Back at the turn of the century, there were people who literally took money to get advertising put on their body in the form of tattoos. We laughed and thought it was pathetic. Why would you take money, no matter how good, to turn yourself into a billboard? And yet that’s what we do with our social media. Every time you “like” or “follow” a particular brand or product or form of entertainment, that information gets spread to other people on your friends list or feeds. That advertising isn’t just for you, and it’s spread. There’s two problems with this. One, quite obviously, is that you’re allowing yourself to be used. You’ve made yourself into free advertising for whatever company wants you to market your product for them. Advertising and marketing costs companies money. But if they can get you to do the dirty work for them, it makes their work all the easier. “Going viral” is the goal here, and you might want to consider if somebody’s infected you on purpose. Hey, I’m not saying there’s anything wrong with liking Star Wars or Marvel Comics. But if your feed is full of nothing but Star Wars products, you might consider who’s really benefitting here. The Force Awakens made a lot of money, but how much advertising did you do for Disney on their behalf? How much did you spend on it? And how much of that money did you get back? If you’re working on Disney’s behalf, do you think it’s a little weird that you got nothing for it? The other problem is, frankly, the bigger one: social media has lost its original purpose. We’re not connecting with each other anymore. Not really. I finally hit my breaking point this past week when I realized that my feed had very, very little information on what my friends were up to. Few people were sharing weddings, children, vacation, accomplishments, or whatever. Most of it was ads, or variations of ads. I keep getting various notices that people “like” Disney Cruise Lines or movies or whatever. I keep seeing people share memes that reflect their latest cause de jour, a lot of which revolve around pop culture. Yeah, a female Doctor Who may be important to you, but in spreading your memes about the new Doctor, you’re also doing a lot of free advertising for the show, which I’m sure the company loves. Think about it in terms of profit for a moment instead of causes. Oh, and let’s not even get started on politics, except to say, again, that any time you “like” or “share” a politician’s information, you’re essentially doing free, uncompensated advertising for them. You’re a billboard. I’m not saying you can’t or shouldn’t like various products or causes or celebrities or politicians or whatever. We’re all entitled to our hobbies, our fandoms, and our causes. That’s cool. It’s just important to take a moment to think about where you fit in the broader scheme of things. You might like Star Wars, but consider whether you really want to own Star Wars products, or whether Star Wars owns you and is exploiting you to its own ends. If your social media is dedicated to showing people how much of a Star Wars nut you are, maybe it’s time to reconsider who’s really in control here. I get that Facebook and other sites need to make money to stay alive, let alone make a profit. But my feed is getting owned by advertising, and I miss my friends. Starting this week, I’m taking proactive steps against advertising. I’m unfollowing pages which I liked a long time ago which really don’t serve any purpose anymore. No offense to The Walking Dead, but I can watch the show without being in multiple fan and parody pages. Second, I’m actively blocking any links that my friends share in their feed. No offense to them, but they can share Scary Mommy or their latest Buzzfeed quiz as much as they want to and I’m not budging. They’re not for me, sorry. “Stop showing me this” is a wonderful button. And lastly, I’m doing “unfollow” on people who only post memes and never put up anything, well, real. No offense to them: but I want to learn about you, not somebody else’s graphic that you want to share. I’ve done a lot of that this week, and I’m finally starting to see fewer ads and more friend stories about real things. They’re still reduced, but they’re there. And that’s seriously reducing my stress. This will be an ongoing battle, but it’s worth it. Hey, post what you want. That’s cool. But realize that nonstop posting of stuff that’s not about you, all the time, diminishes your ability to have real relationships with other people and let them know what’s going on with you. Social media should belong to you, not other people. Now reconsider sharing that Justice League movie post and show us some pictures of your cats. 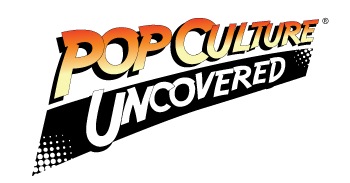 If you enjoyed this post, please consider following Pop Culture Uncovered on Facebook, Twitter, and Instagram, and be sure to like and share this article.